Daydream. Floating boat, melting harbour, cosmic sea. 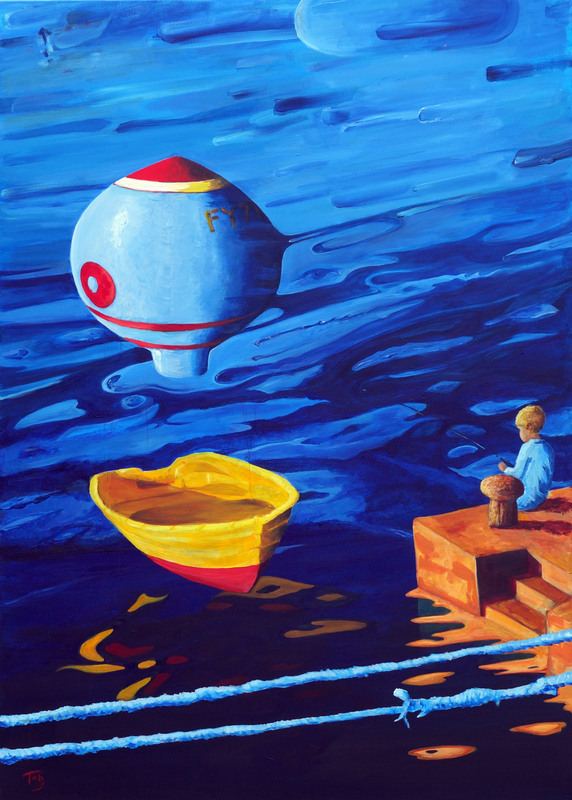 Surreal painting inspired by boats in Mevagissey harbour. Mevagissey, Cornwall. 2012. 100cm,140cm, Acrylic on Canvas.